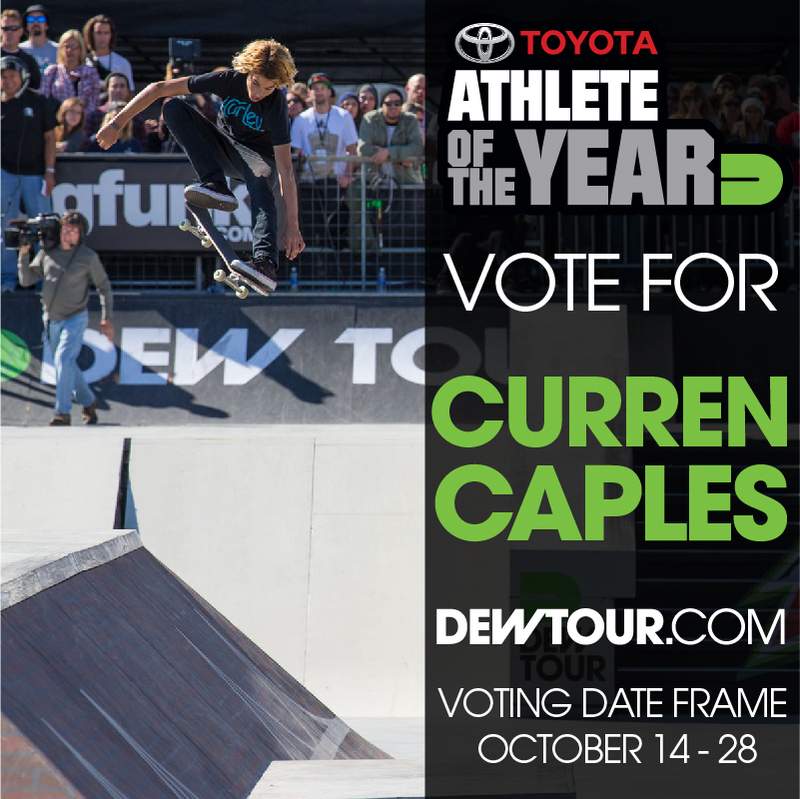 Curren Caples beat out a heavy cast to be voted finalist for the SF stop of the Dew Tour to be considered for the Toyota Athlete of the Year. After the winner of the stop of Winter Dew Tour in Breckenridge, CO is picked, is picked Curren will go against the winner from that stop and Ocean City for a $25,000 prize! It’s official! The 2nd Annual Bakery BMX Invitational has been announced for November 23rd. Set at the new Bakery location, “Secret Recipe” will include 12 of the top riders in the world in a street contest that has been called “the best contest in BMX.” Riders will compete in 3 sections and try and win top prize money as well as cash handouts during each heat. Also included this year will be the Mueller Sports Medicine Highest Bunny Hop Contest. RPRT Athletes Chad Kerley and Jeremiah Smith are on the invite list. The contest, rather than be streamed live, will be rolled out as a web series through www.insidethebakery.com. The night of the 23rd, after the contest, will be capped off with the WORLD PREMIERE of the highly anticipated Dan’s Comp movie premiere, which includes RPRT’s Chad Kerley. The contest is being presented by Mueller Sports Medicine, Vans Shoes, Dan’s Comp and Cult Bikes. For more information please follow @MattRPRT and @InsideTheBakery on Twitter and Instagram. Coming off a slow 2012, Ryan Paul started with a win for the 2013-2014 snow season in his home state of Minnesota at the 2013 Downtown Throwdown. Ryan’s ability to wow a crowd with gnarly rail and flip tricks secured him the win and $8000. Out now!!! The Curren Caples ERA colorway is out on the Vans website and in stores now. Sporting a dark green colorway and floral inside print, the ERA features duracap toes, gel impact heels and waffle outsole. Louie Lopez footage has been chosen to be featured in a scene in Larry Clark’s latest directorial undertaking, “The Smell of Us.” Set in Paris, the film follows a group of skating street urchins. In the film they come across footage of Louie skating of YouTube. The footage was shot by filmer Su Young Choi. 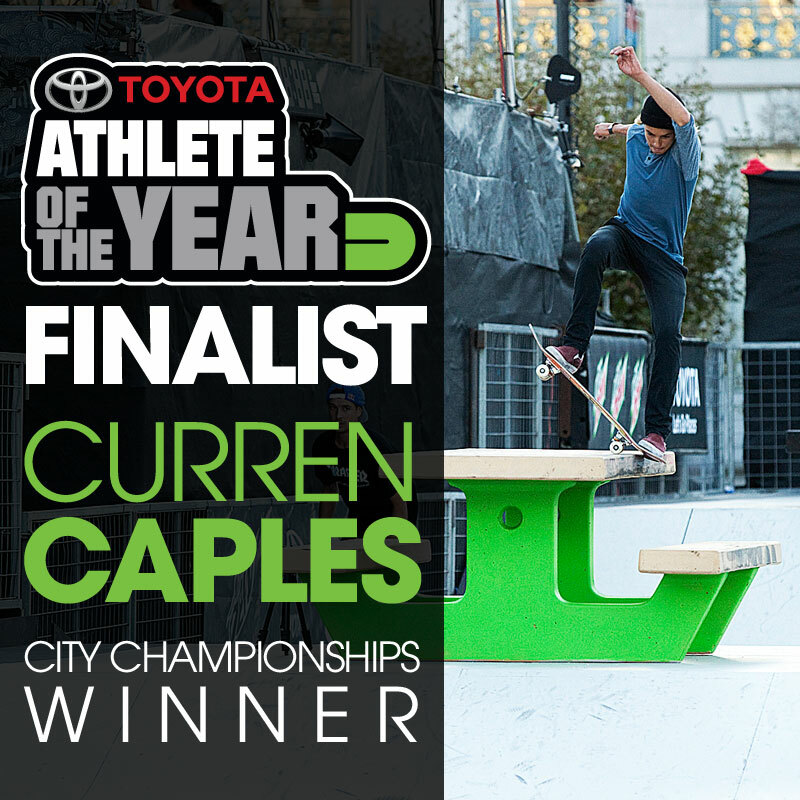 Curren Caples has been nominated to win the Toyota Athlete of the Year for his performance in 2013. 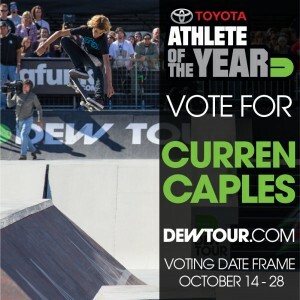 With podiums at X Games, Dew Tour and Damn Am along with his first cover, turning pro and filming for his pro part, Curren certainly deserves this nod and the win. Please go the website and vote for him HERE. RPRT is stoked to announce the signing of 16 year old surf phenom Tia Blanco. 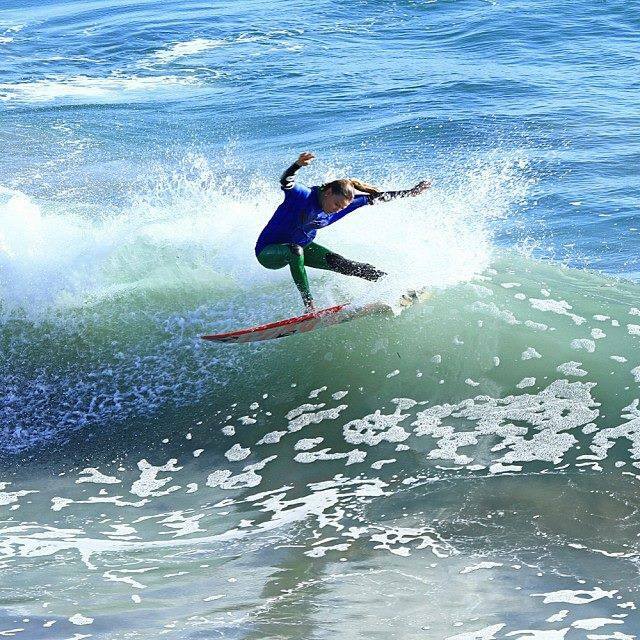 A member of the Surfing America team, Tia is 3 for 3 so far this season in NSSA contests with first place wins in all. Tia has been one to watch in the 18u and pro juniors thanks to coaching from Mike Lamm and an amazing family that supports her every move. RPRT is not only excited to add another female athlete to the roster, but is super stoked to be adding its first female surfer. Tia will be a force to be reckoned with over the next few years as she chases a berth on the world tour with hopes of some day being world champion. This weekend in San Francisco, the RPRT squad hit the ground running and dominated skate and bmx. Louie Lopez led the pack from the start of the contest qualifying first and holding that lead throughout the contest showing why he was just turned pro by Flip. 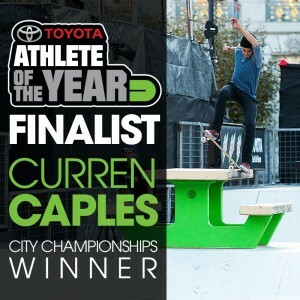 Curren Caples hit streetstyle course with huge airs and major style only to lose to last year’s winner, Ryan Sheckler, by .25 of a point. Curren also skated in street and got 8th overall beating a ton of street veterans at their own game. In BMX, Chad Kerley was the most buzzed about name with a second place win in street behind Garrett Reynolds and a 1st place win in streetstyle. Both winning runs came in the clutch and Chad showed the world why he is the best new young pro in his sport. Also ripping in street was Jeremiah Smith who was in both street (9th) and streetstyle (7th) finals. Brian Kachinsky rode hard and won hearts in street as well. Final RPRT medal count: Gold (2), Silver (2). Matt Meyerson was interviewed for iLivExtreme.com, a website based out of the U.K. with a focus on action sports and adventure lifestyle and travel. To check out the interview and what Matt had to say about the management business please go HERE. You are currently browsing the rprt: talent management, pr/marketing, events and branding blog archives for October, 2013.